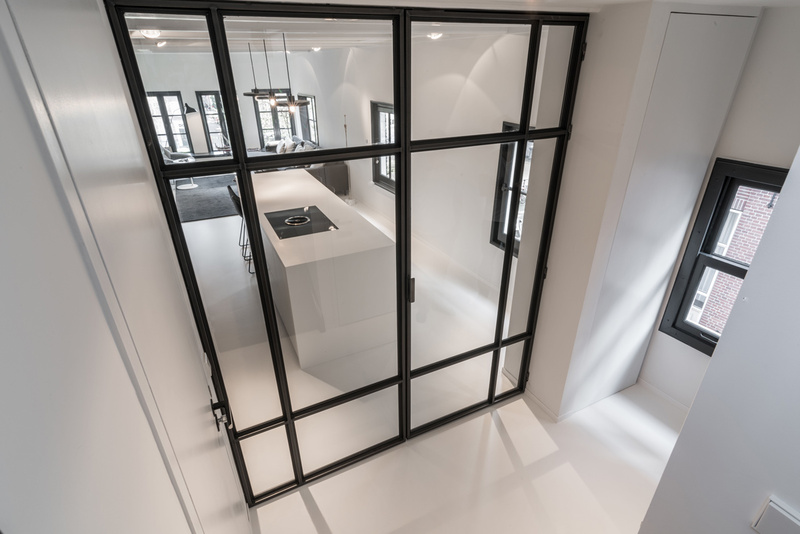 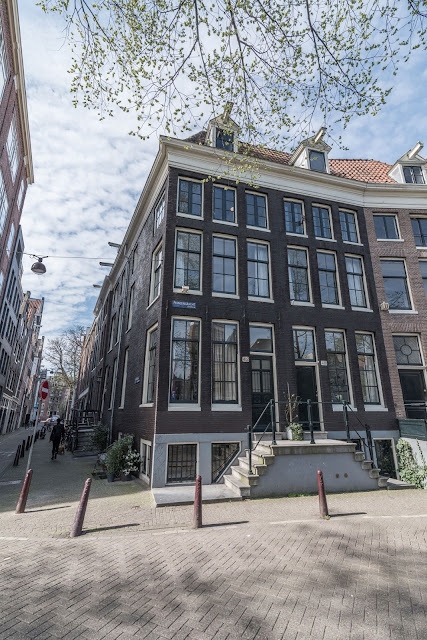 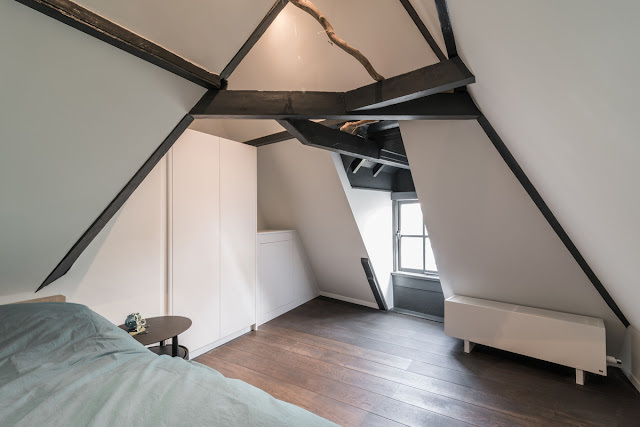 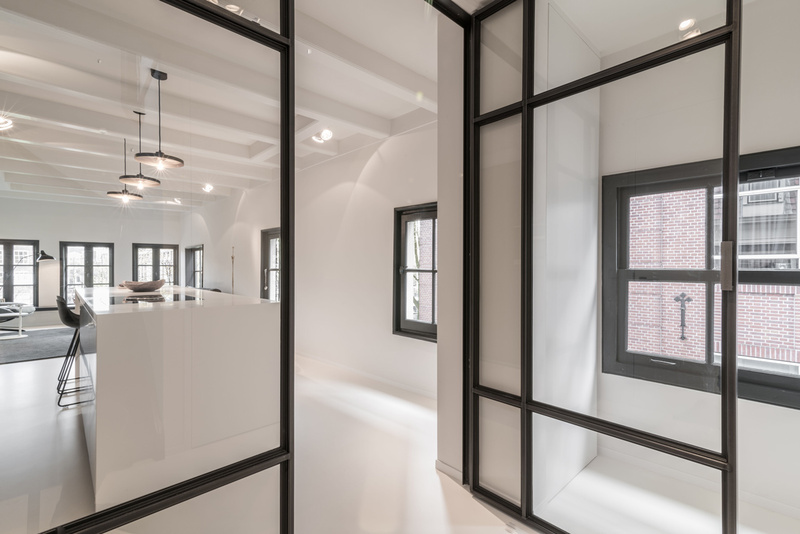 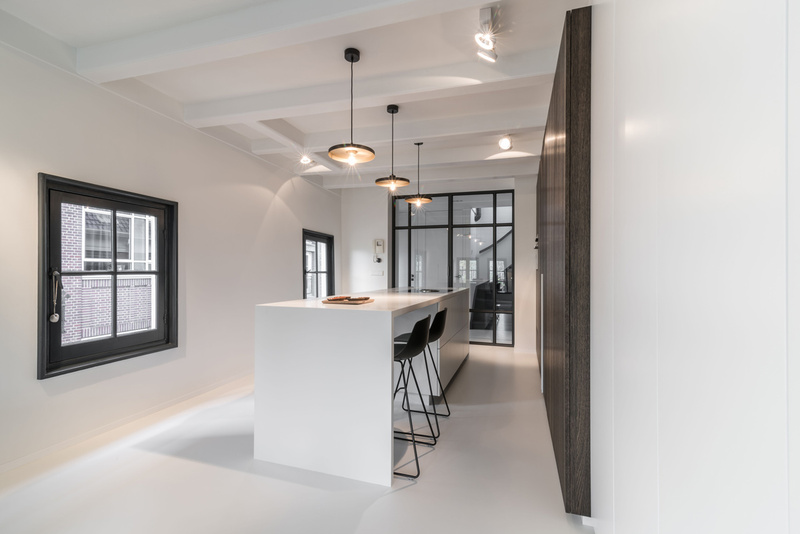 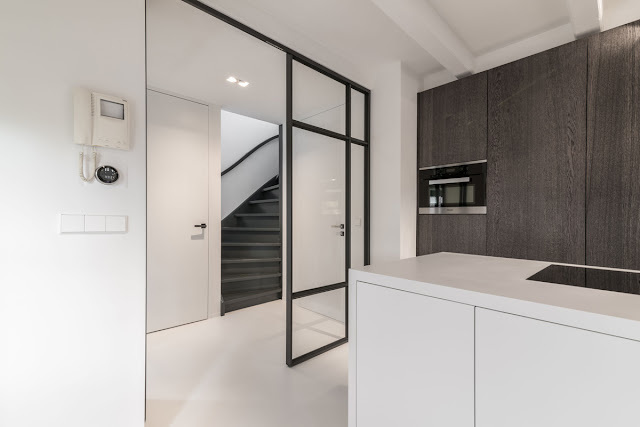 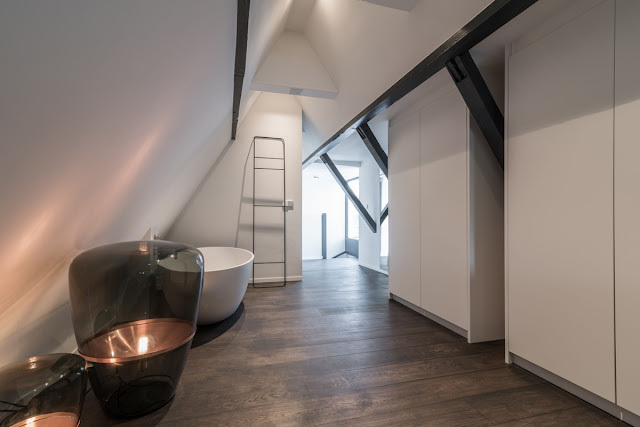 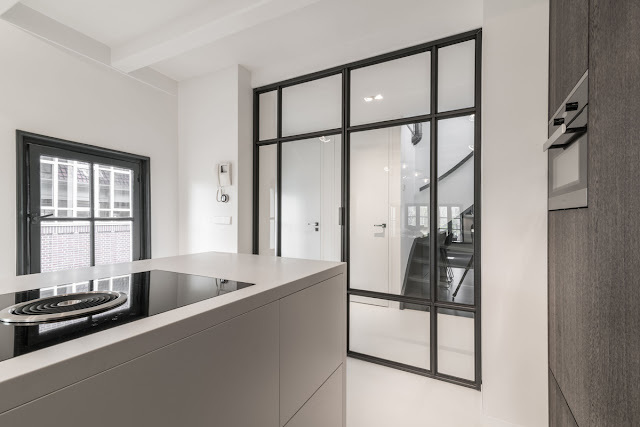 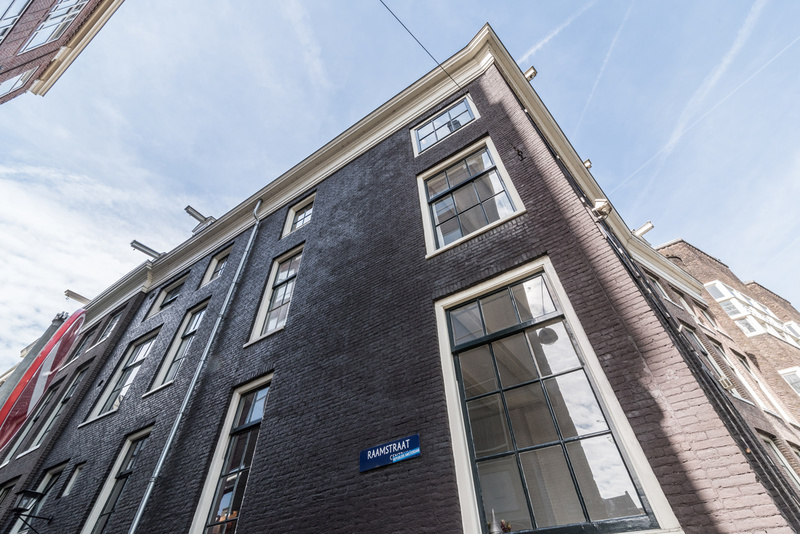 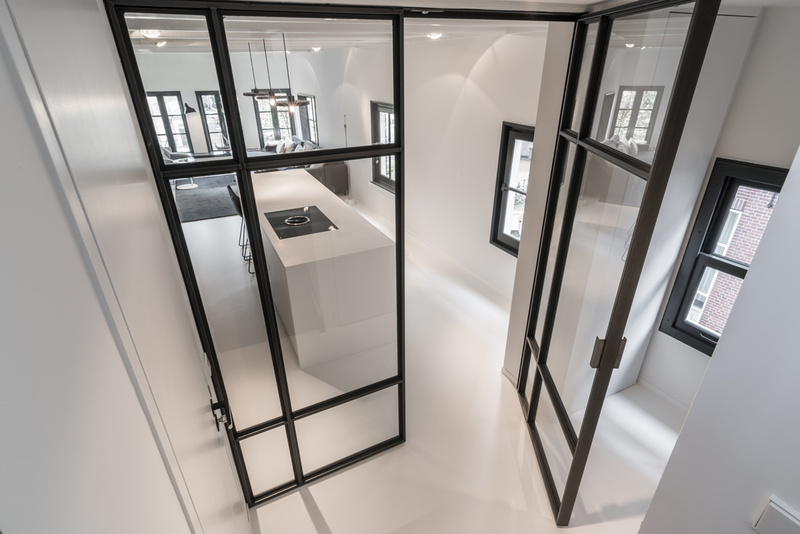 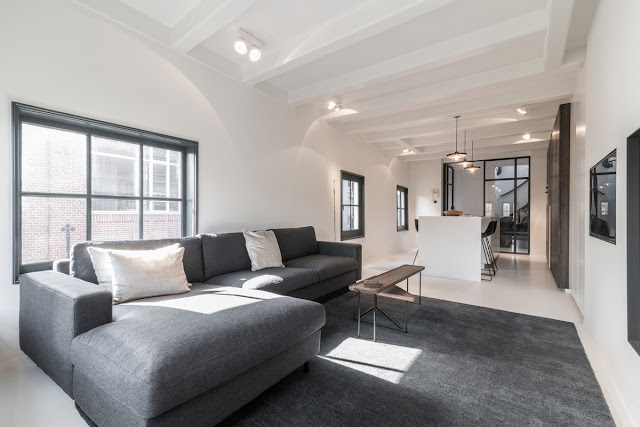 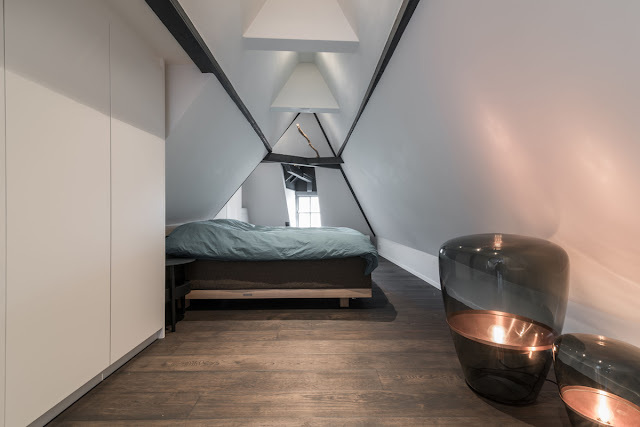 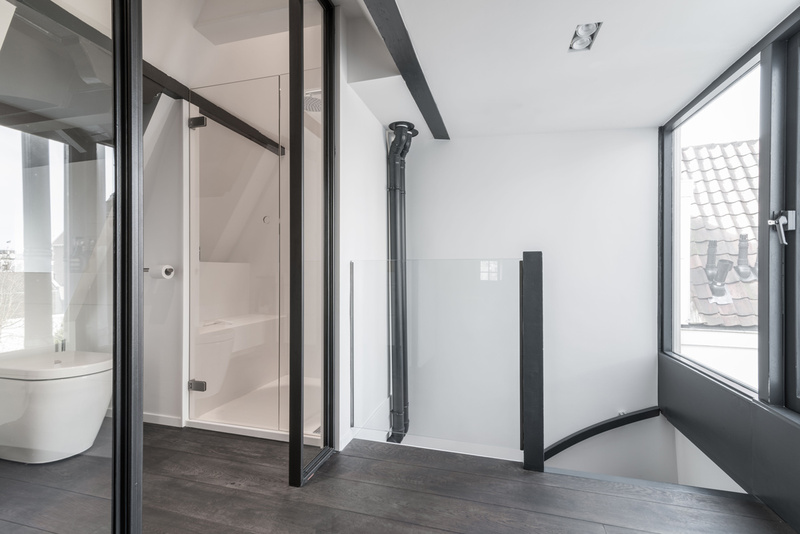 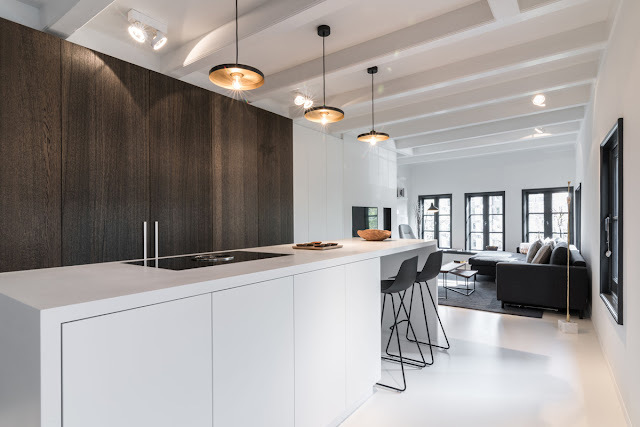 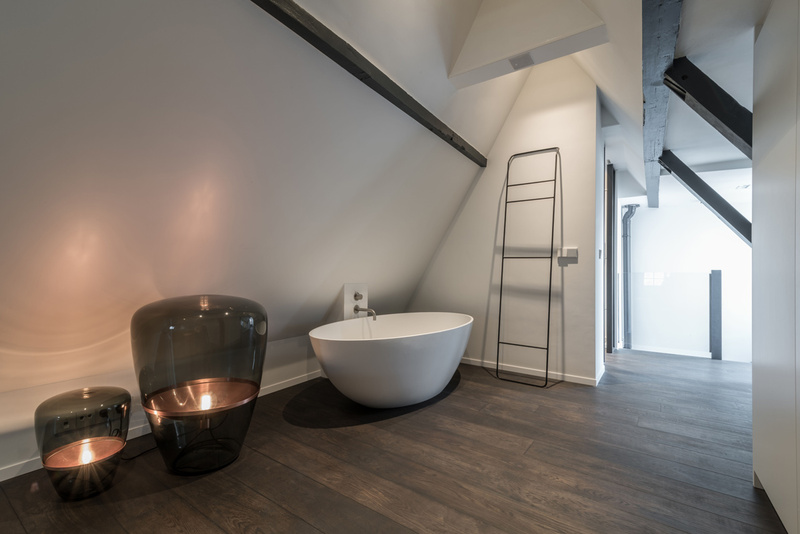 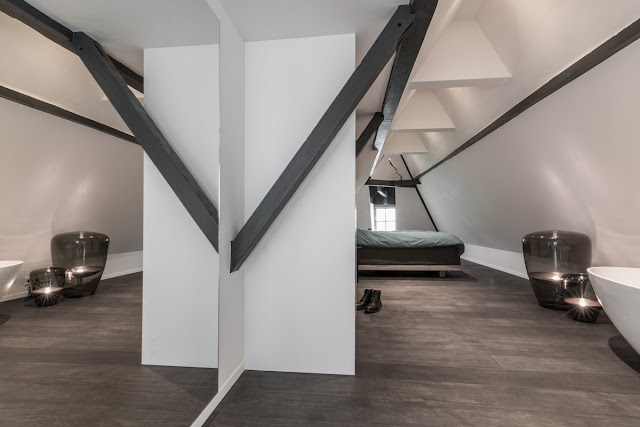 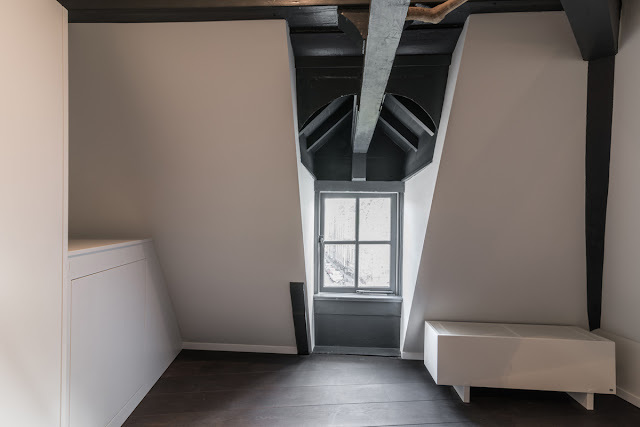 Belgian interior architect Willem Benoit renovated an old warehouse in Amsterdam into a contemporary, minimalist loft, focusing on a limited materials and tones palette. 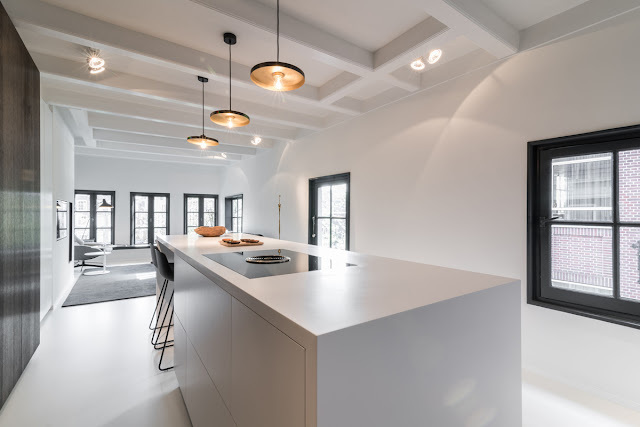 focuses on bright, white interiors and minimalist detailing. 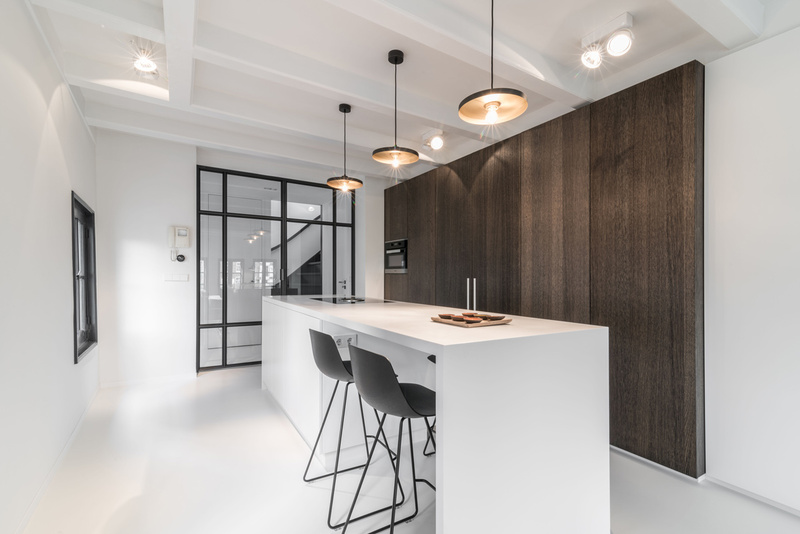 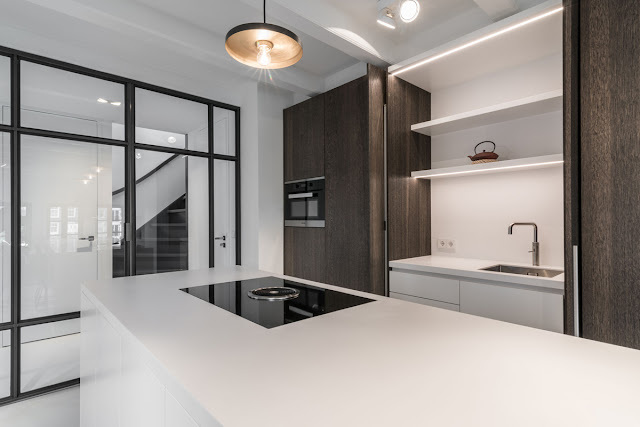 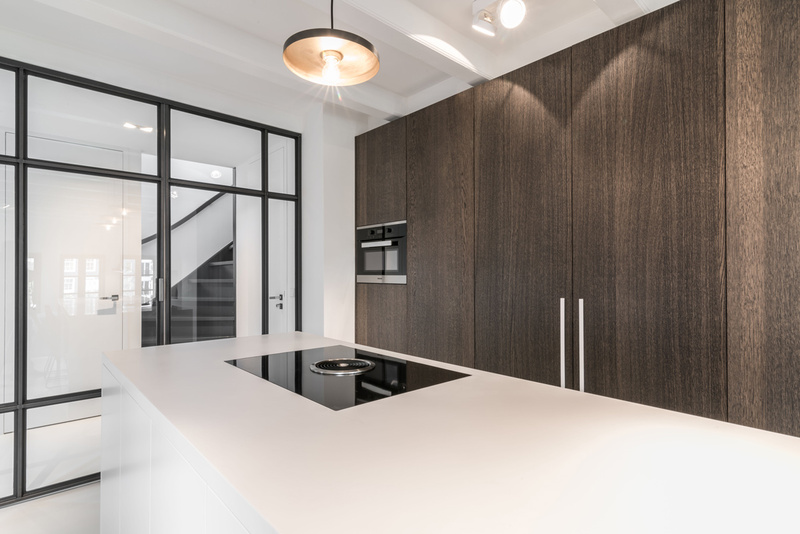 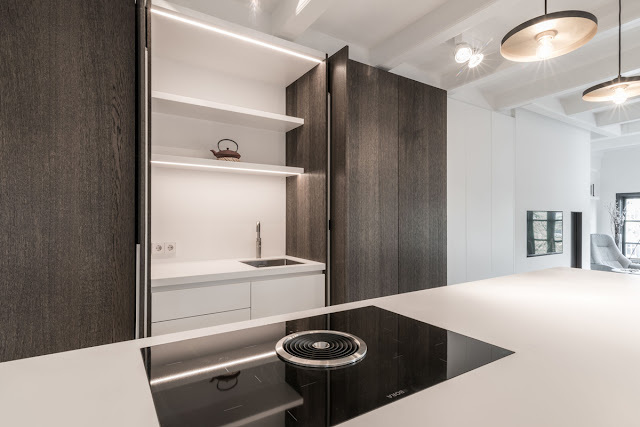 The restricted materials palette consists of all white walls, combined with white lacquered cupboard doors, dark oak panelling and wide planked timber floors.